The Relyon Linton Ortho Pocket 1800 mattress is new and offers a luxury firm feel, however Relyon do not offer a tension for this mattress. But as the Heyford Ortho Pocket Extreme is extra firm the Linton Ortho 1800 would be classed as firmer as it has abundant layers of natural filling like lambswool, cashmere and silk, blended cotton and Hypo allergenic superflex foam on both sides of this fully turn-able mattress. 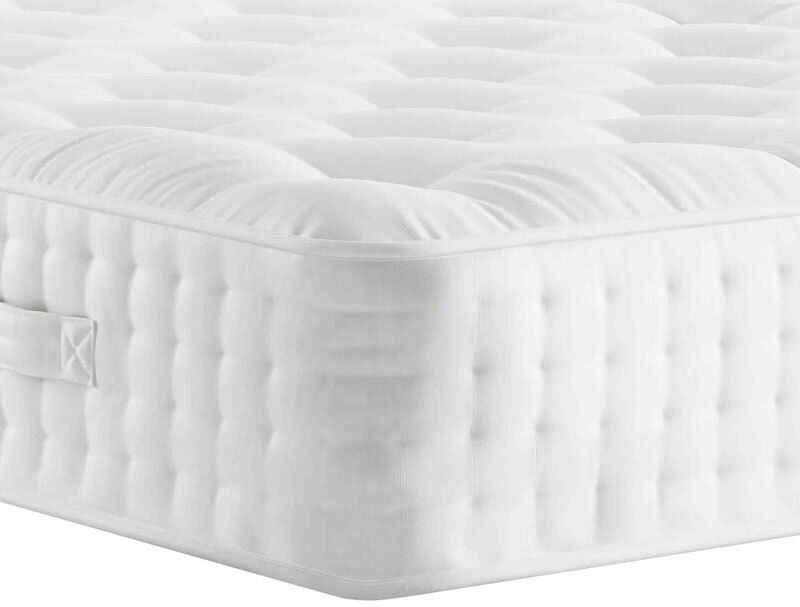 The mattress is further enhanced with 4 rows of reinforced side stitching and firmer springs around the perimeter of the mattress for more support at the sides, less roll off and a wider sleeping area. This fully turn-able mattress is 34cm deep. Like all Relyon mattresses it comes with a 8 year guarantee.